We’d love your help. Let us know what’s wrong with this preview of The Telling Image by Lois Farfel Stark. To ask other readers questions about The Telling Image, please sign up. This is a picture book that wants to be more than that. The first part reads like Intro to Human Anthropology. There’s an intriguing observation about shapes, the round and the square in Liberia shown as examples. One gorgeous photo brought good memories of Stonehenge, before it was fenced off. The Big Dipper-Great Bear-laptop thing was a bit forced, though that was quickly overshadowed by the most beautiful shot of a spiderweb ever. This is definitely not something you should read in one sitting, This is a picture book that wants to be more than that. This is definitely not something you should read in one sitting, with numerous philosophical discussions that will make you pause to think. This isn’t a coffeetable book that gets opened to look at pretty pictures; the photos here serve to highlight the text. A stunning visual book that transcends genre. 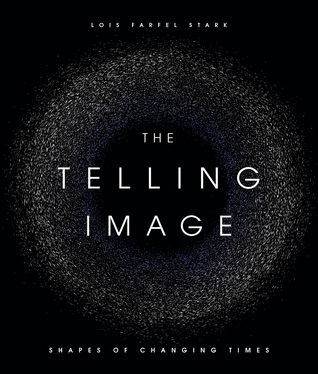 Blending philosophy, memoir, personal essay, history, photography, and art, The Telling Image will change how you think. It's not often that a coffee table book contains this much substance and tackles the big ideas in the world. This is not an easy book to review because it is not an easy book to put in a category - and our brains tend to like thinking in boxes and categorizing things. And actually, this book is someone's thoughts, simply put together and trying to make sense of things and the concepts presented in the book, influenced by her experiences as a documentary filmmaker, that took the author all over the world and shaped her thoughts and ide I received a free copy of this book in exchange for my honest review. This is not an easy book to review because it is not an easy book to put in a category - and our brains tend to like thinking in boxes and categorizing things. 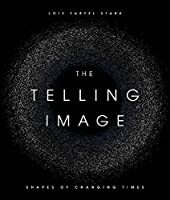 And actually, this book is someone's thoughts, simply put together and trying to make sense of things and the concepts presented in the book, influenced by her experiences as a documentary filmmaker, that took the author all over the world and shaped her thoughts and ideas. The narration flies from an idea to another, however it stays on the same main topic, and while this way of sharing information might not be everyone's cup of tea, it is definitely mine - because this is how I think (sometimes how I write or even talk with people). It is not hard to follow either, although I do recommend taking your time with the book and thinking everything over. The subjects vary from architecture to agriculture, from the Giza pyramids to the Large Hadron Collider. But the book is about shape, and not just the architectural shapes of a building or the complex mathematical shapes we can find in nature, even though it talks about these things. The main subject is the metaphor of shape - I am using the words of a friend, she said them when I was telling her about the book. It is about shapes and patterns, how they evolve and how they change, and how we change alongside them. “We were nature-centered, then human-centered, and now we become planet-centered.” I really hope so. Lois Farfel Stark is an Emmy Award-winning producer, documentary filmmaker, and author. During her distinguished career she produced and wrote over forty documentaries on architecture, medical research, wilderness protection, artists, and social issues. With NBC News, she covered Abu Dhabi’s catapult to the 20th century, the British withdrawal from the Persian Gulf, Cuba ten years after their revo Lois Farfel Stark is an Emmy Award-winning producer, documentary filmmaker, and author. During her distinguished career she produced and wrote over forty documentaries on architecture, medical research, wilderness protection, artists, and social issues. With NBC News, she covered Abu Dhabi’s catapult to the 20th century, the British withdrawal from the Persian Gulf, Cuba ten years after their revolution, the Israeli Air Force in the Six Day War, Northern Ireland during its time of religious conflict, and Liberia’s social split.